The front tray panel with the Blu-ray Disc decal fell off of the tray. I don't remember it getting hit or bumped or anything. There was a small wire that fell out as well, but I'm not sure how to reassemble it. It doesn't look as though any of the plastic broke, but I can't get the tray front to stay on. All problems on this page have been submitted and answered by users. 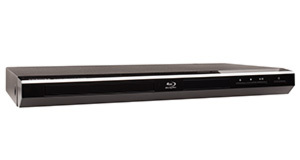 If you have a problem with the Sony BDP-S3100, please submit it below and we'll post it here. Problem: The front tray panel with the Blu-ray Disc decal fell off of the tray. I don't remember it getting hit or bumped or anything. There was a small wire that fell out as well, but I'm not sure how to reassemble it. It doesn't look as though any of the plastic broke, but I can't get the tray front to stay on.